Years of experience as a supplier of new and used equipment for baking and food production broadened our understanding of the vital role lubricants play in the reliability and longevity of our customers’ machinery. 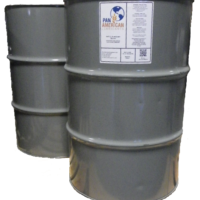 Development of our own complete line of lubricants and chemicals was therefore a logical step, though it would take a great deal of research, time and investment to accomplish. 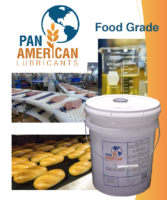 Today Pan American Lubricants branded products include the highest quality NSF Registered, Food Grade, full synthetic and mineral oil based products, suitable for use in bakeries, meat and poultry plants, dairies, canning and bottling facilities and other production applications where incidental or direct contact with food is possible. 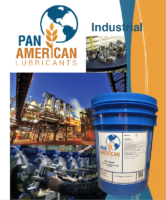 Pan American Lubricants also include an extensive array of industrial (non-food grade) full synthetic and mineral oil based products for nearly any application; including air and refrigeration compressors, hydraulic systems, vacuum pumps, gearboxes, wind turbines and steam turbines and more. 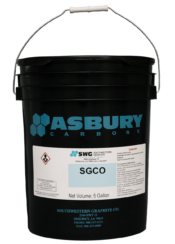 In addition to our own branded products, we are the exclusive distributor of Asbury Carbons’ graphite based oven chain lubricants. Asbury Carbons, the world’s largest independent processor of graphite is the manufacturer of the familiar OCL, HCFO, HCFO PLUS, HYBAKE SUPREME and SLIP-Plate® products that have been used in commercial bakeries for generations.